In 2016, I started a bike tour cycling from Greece to England. Over two and a half months I cycled across Europe covering nearly 3000 kms. If you are a regular reader of Dave's Travel Pages, you will already know that I have a passion for bicycle touring. (My previous cycling trips have included cycling from Alaska to Argentina, and England to Cape Town). You may also know that I have been living in Greece for just over a year. In my mind, this meant that a bicycle tour from Greece to England would be almost inevitable! First of all, let me introduce myself. Just in case the title of the blog didn't make it clear enough, my name is Dave. I am English, aged 44, and currently living in Athens, Greece. (If you would like to find out more about me, you can check this article out – About Dave Briggs). I realised almost 15 years ago that bicycle touring was the best way to travel and see the world. It lets you move through a country at a pace slow enough to experience everything around you, and yet fast enough to cover reasonable distances in a week. Bicycle touring takes you off the beaten track, and lets you explore areas few other tourists ever get to see. It's a great way to meet local people, to make lasting connections, to taste the food, and to gain a deeper insight into a country. Bicycle touring is environmentally friendly, economical, and also a great way to keep fit. It is both challenging and rewarding. Would You Go Bicycle Touring Across Europe? Are you sold on it yet? I hope so! You see, the whole point of this blog, is to provide travel inspiration. n fact, this blog shouldn't be called Dave's Travel Pages, it should be called “Hey, you can do this too!!“. Anyway, here's the information you most likely came here for, which is about cycling from Greece to England. I started my bike tour on the second weekend in May 2016. I had already worked out a rough route, and estimated that it would take me around 73 days to cycle from Greece to England. The bike touring route across Europe I followed passed through Greece, Albania, Montenegro, Bosnia and Herzegovina, Croatia, Slovenia, Austria, Slovakia, Germany, Belgium, France, and finally England. During the build up to the trip, I had to select bike touring gear, a cycling route, and of course a bike! Here's the bike touring blog posts about cycling from Greece to England I published before the tour began. Choosing a Cycling Route from Greece to England – The resources I used to begin planning my cycling route through Europe. The Stanforth Kibo+ Bicycle – Stanforth Bicycles from the UK have kindly loaned me a bicycle to test out during this bicycle tour. Read about the bicycle I will be using when cycling from Greece to England. This was the first time I had really made vlogs during a bike tour. It was a bit of a learning curve to say the least! I challenged myself to not only do the cycling, but also release and upload a vlog a day from the bicycle tour across Europe. It was pretty full on, but I did it! You can find the bike touring vlogs from the Greece to England ride on my Youtube channel. I've also embedded the playlist underneath so you can get started. Be warned – there's hours of material here! You'll want several cups of tea to get through them all. Here is a list of bicycle touring blog posts that I've written about the trip so far. More will get updated in the future. 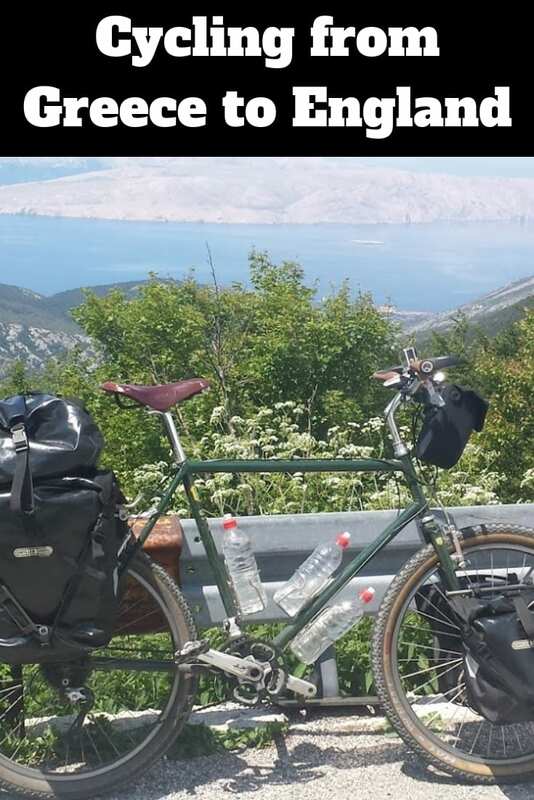 Bicycling in Bosnia and Herzegovina – Updates on what will be a very short cycling trip through this country! If you would like some regular bike touring inspiration, tips and interviews with other cyclists, sign up for my newsletter below! Inspiring stuff Dave, I have just latched onto your site. Hope the journey is going well so far. Where are you now? You are visiting some brilliant places and I am sure you will get a warm welcome wherever you go. Wilbur. This is amazing! I’m really excited to follow your adventure. 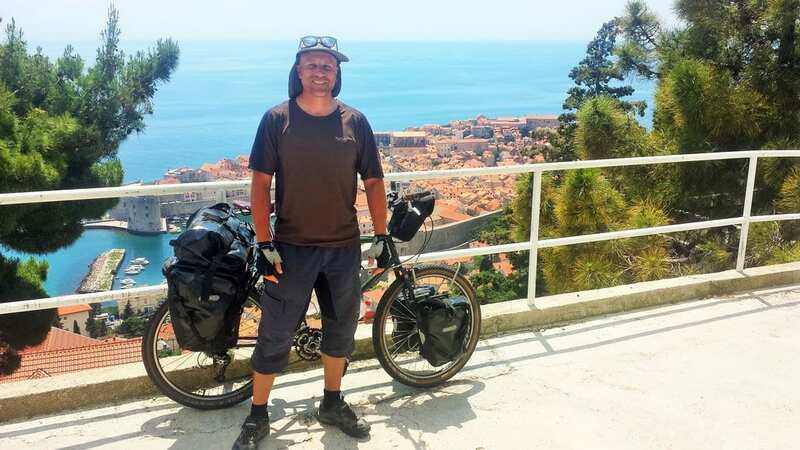 I’m especially interested in seeing your trip through Montenegro… we did a road trip there and the countryside is so incredible… I bet it’s even better on a cycling trip. OMG! This is inspiring! Never let anything stop you! I guess you get to see more of the countries when you are cycling through. That’s awesome!!! One of our friends cycled all over Europe from the UK and now he is planning to bike through Asia. I’ve not cycled Asia yet, but it’s on the list! That sounds like an epic adventure. A long one at that, but I am sure you will have so many countless memories, lessons, and pictures. I’m in awe of this trip. My jaw dropped when I read how many countries you would have to cycle through. Have a great trip! Oh wow! That would be an awesome experience! With your previous experience of cycling, I am sure it’d be both fun and gratifying. It’s a nice idea to write while doing the trip lest many things slip off our mind. All the best & I look forward to your journey. I sure hope it will be fun !! Best of luck on your trip. I’m eager to see more updates. This is the type of adventure I’ve always wanted to do but never the time (or courage) to do it alone! Thanks very much – I hope to keep blogging regularly as I cycle! I guess if ‘brexit’ will be a go you’ll be stuck in the middle of what brits seems to dislike. Please be Europe’s ambassador. Please show us how much ‘brexit’s’ ideology is wrong. Please don’t let our parents efforts; of a peaceful post-ww2; be ignored by nonsense.